Prime Minister Narendra Modi's Retweet Sets Off "NaMo Again" Hoodie Challenge: "Looking Good"
NaMo Merchandise, which sells PM Modi-themed clothing through the app, also jumped in to make the most of the hoodie challenge. 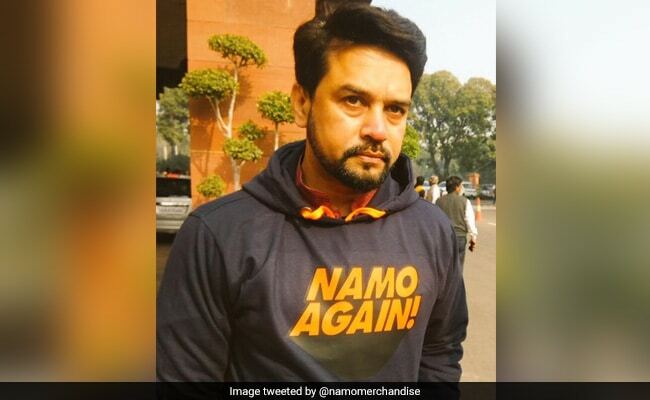 Anurag Thakur launched the challenge by wearing the "NaMo Again" hoodie to Parliament. BJP leaders wear their love for Prime Minister Narendra Modi on their sleeve and -- at times -- on their chest. Tuesday was one of these days, with BJP lawmaker Anurag Thakur coming to parliament in a charcoal-grey hoodie that screamed "NaMo Again". He received a lot of appreciation on social media, and a retweet from PM Modi himself. 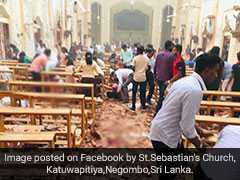 "Looking good," the Prime Minister said. 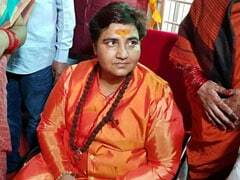 That was enough to spark off a hoodie challenge, with BJP leaders trying to outdo each other in expressing their support for their idol. 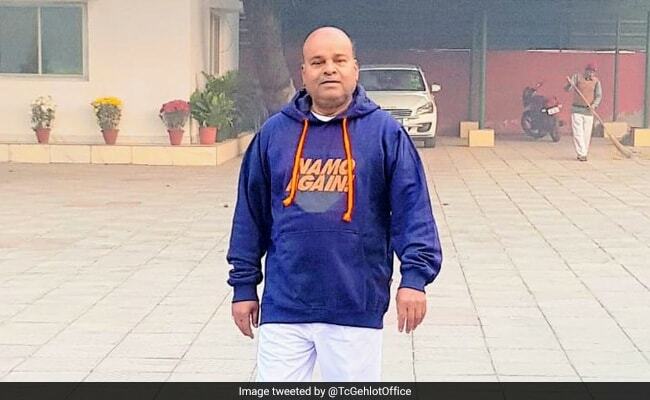 Minister of Social Justice and Empowerment Thawar Chand Gehlot was the next to post a photograph of himself in the now-popular piece of winter wear, with the caption: "I have worn it, have you worn it or not? You should also wear it with the pledge: NaMo Again! Let's vow to bring Narendra Modi back as the Prime Minister in 2019. Jai Hind!" 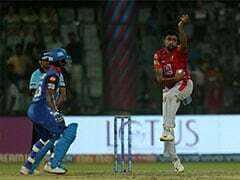 Hashtagged were former Madhya Pradesh Chief Minister Shivraj Chouhan; Union Ministers Rajyavardhan Singh Rathore, Narendra Singh Tomar, Radha Mohan Singh and Arjun Ram Meghwal; party general secretary Kailash Vijayvargiya; and Madhya Pradesh party president Rakesh Singh. Union Minister Thawar Chand Gehlot was the next to take up the hoodie challenge. Mr Thakur later sent out a second tweet with a pitch for other party leaders and supporters: "I an wearing mine. Where is your hoodie?" Everybody from Uttar Pradesh Chief Minister Yogi Adityanath to Union Minister Kiren Rijiju were hashtagged this time. 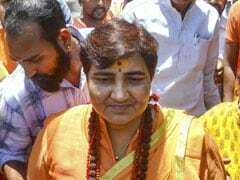 Several party supporters reacted to the tweet, posting photographs of themselves posing in the "NaMo Again" sweatshirt. The NaMo App -- which offers latest news and updates on the Prime Minister, recordings of his 'Mann Ki Baat' programme and personalised birthday greetings -- hopes to make it big ahead of the 2019 Lok Sabha polls. It was recently updated to include NaMo Merchandise, through which one can buy products bearing PM Modi's name. NaMo Merchandise also jumped in to make the most of the hoodie challenge. "NaMo merchandise goes to Parliament! Lok Sabha MP @ianuragthakur wears a NaMo Again hoodie. Get your merchandise too, what are you waiting for!" it tweeted. PM Modi became famous as "NaMo" in the run-up to the 2014 Lok Sabha elections, when the BJP-led NDA swept to power in the country. 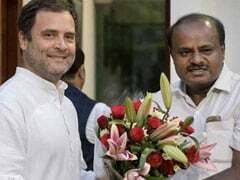 He is now fighting for re-election to the top post in the face of a resurgent Congress.